Becaue location is everything! Discover a life of exceptional urban convenience at Toronto's hottest new condominium community, The College. Located at College Street and Spadina Avenue, The College is an exciting new 15-storey condominium residence that allows you to experience life in the heart of one of Toronto's most vibrant, desirable neighbourhoods. Live just steps to the University fo Toronto, the eclectic shops of Kensington Market, the world class restaurants, bars and nightclubs of Little Italy, te Spadina and College streetcars and so much more at this unbelievable urban location. And with a great selection of stylish suite designs to choose from, you're sure to find the lifestyle you've been looking for at The College. 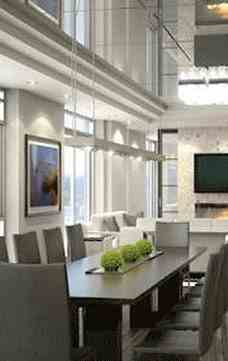 The College Condominium at Spadina is a new condo project by Tribute Communities. Live just steps ot the University of Toronto, the eclectic shops of Kensington Market, the world-class restaurants, bars and nightclubs of Little Italy, the Spadina and College streetcars and so much more at this unbelievable urban location. 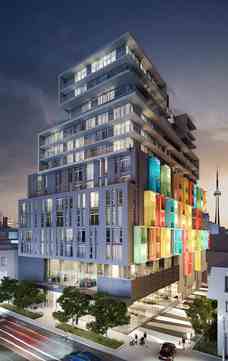 Main Intersection : College St. & Spadina Ave.
Unit Size : From 477 Sq. Ft. To 1026 Sq. Ft.